Saina Nehwal is India's most celebrated badminton player of this time. And what's more, she has more than earned every kudos, every good word that's being said about her and worked hard all her life to make sure she deserves it. She is the only Indian badminton player to have bright home an Olympic medal, and the first Indian woman to have reached the rank of No 1 in the BWF world rankings. After Prakash Padukone in 1980, no one from India had ever made to the top ranking in badminton. Saina Nehwal was born in Hisar, Haryana to a Hindu Jat family, to the couple Harvir Singh and Usha Rani. For most of her life, she grew up there completing her schooling in the campus school of Chaudhary Charan Singh Haryana Agricultural University. 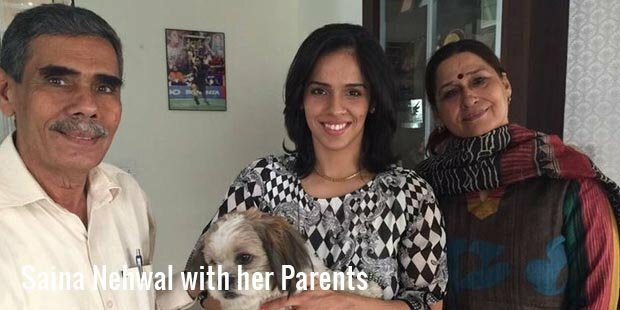 The family moved to Hyderabad and it was then that she began to take a serious interest in badminton. Saina did her Xll from St.Anns College in Mehdipatnam, Hyderabad. 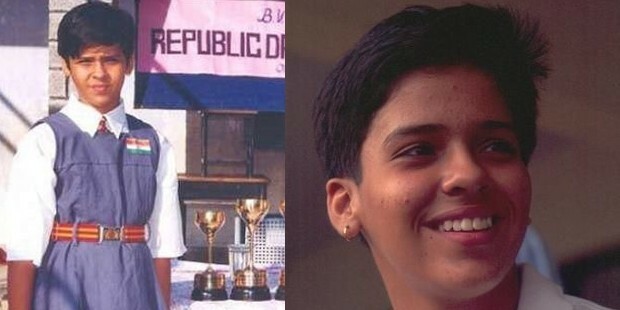 While she was still young, Saina Nehwal aced another sport apart from badminton and that was Karate. Not many might know that she is a brown belt champion in Karate. 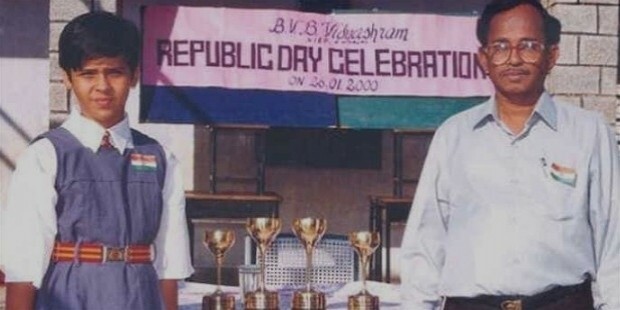 After moving to Hyderabad, Saina trained in the Pullela Gopichand badminton academy, a training academy that helped a great deal in polishing her skills and making her a better player than she already was. Saina was initially coached by S. M. Arif a Dronacharya Award winner, and then by Pullela Gopichand till the September of 2014. Right now she is being coached by the former Indian badminton champion and national coach Vimal Kumar. It isn’t easy to be a successful sportsperson in India where so much emphasis is given to academic performance. And for a woman hailing from a middle-class family,that makes it even more difficult. But for the hard-working, determined and extremely talented Saina Nehwal, this was not difficult. She began winning tournaments right from the year 2004. She won the junior badminton championship in 2004 and later again in 2005. In 2006, she won her first big title, the prestigious Asian Satellite Badminton Tournament of the India chapter in the under-19 category. Saina managed to win in twice which no one before her had ever managed to do. In 2009, she won her first super series title. In 2008, she became the first Indian woman to reach the quarterfinals of an Olympics. She eventually lost it in the quarter final, but it set the tone for her future performances and let us know to keep an eye on her career. In 2010, she won the gold medal in the Commonwealth games in Delhi beating Wong Mew Choo of Malaysia. "When I was a match-point down, it was like a shock. It was a big match and winning it means a lot to me. Even many years from now, those present here will always remember how Saina won the gold. It is a proud feeling" -- Saina after winning her match. Fighting against a whole lot of odds that constantly blocked her path, Saina Nehwal, whose quiet demeanour fools us into thinking that she’s a delicate and fragile young girl, went on to prove that they were nothing fragile about her steely determination. She’s now the world champion ranked World Number 1 in women’s badminton, raising the pedestal of India to the whole world. 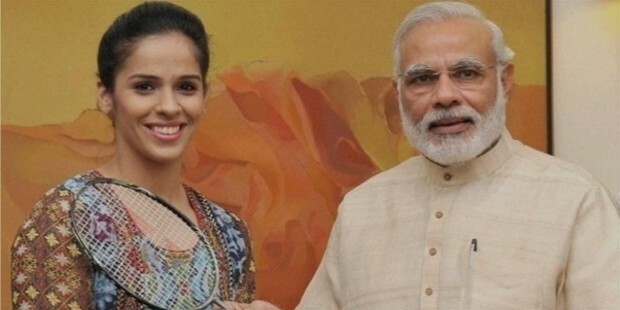 Saina Nehwal has many firsts associated with her career. She’s the first woman to win a title in the junior badminton championship, the first woman to win a medal for badminton in the Olympics and the first Indian to won a super series tournament. 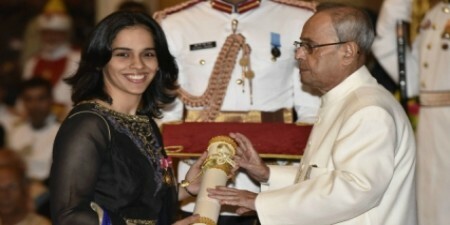 There are countless other achievements that Saina is accredited with. 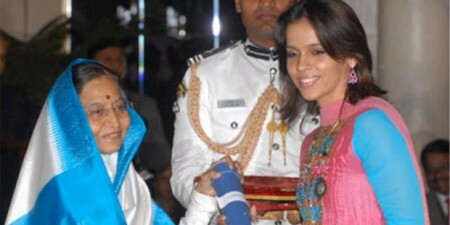 In 2010, She won the Gold in Women's singles in the Commonwealth Games in Delhi, as well as a silver in the mixed team. Saina reached the no 1 ranking in the BWF Rankings in 2015 and is currently ranked as the world no 6 (as of 4th April 2016). As of right now, Saina wants to focus on her Badminton Career rather than trying to find a boyfriend or settling down. According to her mother, she often gets angry and upset if the topic of marriage is brought up in front of her. She lives with her mother in a small accommodation in Bengaluru so that she can train with her present coach, Vimal Kumar. Today she stands as the Icon for many a young athlete in India who are constantly asked to focus on studies and are more often than not discouraged to take up sports other than cricket. Here's wishing her all the best!